For over two years I’ve been writing a memoir of sorts about my journey with control and how God has met me with grace in tightly-wound moments. Right now, I’m currently in the revision process and I’ve been battling discouragement. Self-doubt, comparison, and the demands of the project have all contributed to how I’ve been feeling. I am not a quitter, I am a finisher, but there usually comes a point in a project when I’m tempted to stop short of completing it. As we pursue our God-given dreams we may get stuck throughout the process for a variety of reasons. I am writing this book to help free myself and others from tightly-wound tendencies. I desire for others to grow closer to the Lord and to receive and extend grace in everyday moments. When we answer the “why” and refer back to it often, it keeps us going. When we get bogged down by the details or the magnitude of our project, our mission statement can help us stay focused and press on. I hope you have a few friends or family members that are supportive of your endeavor. Be honest with them and ask for help if needed. Set a deadline to finish your project (if you haven’t already) and ask them to hold you accountable to it. I confessed to my husband how discouraged I’d been feeling at this stage in my project. He then went out of his way to encourage me. He said, “You can’t give up. You can do this. Keep going!” He provided extra space for me to get things done, since this particular part of my project requires additional thought and time. It is biblical and wise to have a day of rest. When we are recharged we are more likely to be creative. But, all the other days, do at least one thing on your project. I’d been trying to take on two or three chapter revisions a day and it was too much, so I scaled back to one chapter a day and felt more successful. It may take longer to get my project done but I’m tackling it in more bite-size pieces. Be realistic with what you can do each day and then follow through. This will help energize you vs. feeling overwhelmed by all that still needs to be done. The God-sized Dreams Community is committed to encouraging you as you pursue your dreams. We know the journey is not easy and that there are all sorts of detours and delays that can impact your progress. However, we hope these three steps will help motivate you to keep going and not give up. What are some steps that keep you moving forward? Let us know in the comments below or over on our Facebook page. Is It Safe To Dream Big? On Wednesdays we are thrilled to fling open the doors to all of YOU! We love hearing your dreaming stories…the lessons you’ve learned, the roads you’ve walked, the dreams He’s planted in your hearts! Today we are excited to welcome Angela Howard to God-sized Dreams. 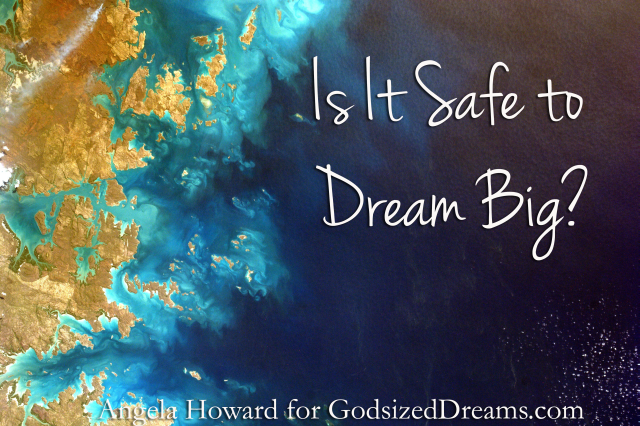 She shares the reminder that BIG dreams are always safe when those dreams are from God. Thanks for being here today, Angela! I’ve battled with self-sufficiency since I was old enough to talk, walk and declare my opinion. There’s a little voice inside my head that often says, I’ll just do it myself. And let me be honest, it doesn’t say it in a sweet voice. I had been perfectly comfortable with this inner dialogue until God challenged me to start dreaming God-sized dreams that were beyond my abilities and left me wondering how I would ever achieve them. There’s something about the safety of working within to-do lists that keeps us from dreaming big. I like to look at a project, wrap my head around the details, make a plan and be confident that I’ll succeed. It’s comforting to have the assurance of success. But God is asking something more from me than the perceived security of self-sufficiency. In fact, He asks this of everyone who follows Him. Choosing to trust in the Lord will give us a foundation that is deep and secure. Choosing to trust says that we will depend on God’s strength and not our own. Choosing to trust says we’re ready for those God-sized dreams that are extraordinary and full of purpose. Is It Safe to Dream God-sized Dreams? We can boldly say YES to these extraordinary dreams! Why Can We Say Yes to God-Sized Dreams? When we’re afraid and wonder why God chose to plant this dream deeply in our hearts we need to remember why we can say yes. It’s not about what we can do. It’s not about our self-sufficiency. It’s about the character of God. Today you can trust that God will give you what you need to bring Him glory. Turn away from self-sufficiency and take the risk to accomplish the God-sized dream He has placed in your heart. You’ll never regret saying yes to God! Angela Howard is an author and minister who loves empowering people with authentic encouragement and Biblical perspective for their imperfect lives. Her book: How to Love Your Crazy Family is on Amazon and you can connect with her on her blog, No Ordinary Days. 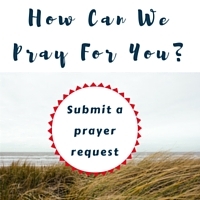 Have you thought about sharing your story with us yet? If not, we would like to take a moment to encourage you to do just that. You may think you don’t have a spectacular life and nothing wonderful share, but I bet you went through something today…last week… that could be an encouragement to someone out there right now. The everyday mundane is often what makes up each day of our lives. Whatever your dream is, whatever your story is, we want to hear. We are always so encouraged by reading about your journeys, and it is such a blessing to be able to share them with others. So, tell us. What’s your story? Share a piece of your story and be entered to win a shirt from our Spring T-shirt Sale! It’s time to choose a random email subscriber to win a FREE print!! The winner is …dcjswalker@….Congratulations, and thank you for being a part of our community (Send us an email or reply to this post and we will send you a coupon code to redeem any print of your choosing). I returned last night from the fourth annual Winsome retreat, a God-sized dream come true. It was birthed with trepidation and excitement, and every year is an overwhelming testimony to me of God’s faithfulness. Our dreams are His means to accomplish the good works He planned for us before time began. They advance his Kingdom and weave an incredible story of interconnectedness, unity, and joy. Five years ago I had a dream and needed some help. Holley Gerth wrote a book and needed some help getting the word out, so she asked some God-sized dreamers to join her in sharing it. I was one of those dreamers, and through the support of Holley and the God-sized Dream Team, Winsome came to be. Last year, another God-sized dreamer attended Winsome to hear Holley who was speaking. Natalie Joy was a strategic coach in the corporate world who had a dream to use her skills and experience to help women pursue their dreams. At Winsome, she decided to go for it! Natalie Joy’s last name was hard-won. After an eight year marriage that ended with the devastating revelation of her spouse’s six-year infidelity and loss of life as she knew it, Natalie chose her middle name as her legal last name. She says she had to choose whether to be defined by her circumstances or to pursue joy. Her name testifies to her choice. But Natalie’s name isn’t the only indication of joy in this lovely woman. Her smile radiates it, and her passion to help other women find what brings them joy confirms it. Over the last year Natalie has coached me and the Winsome leadership team. 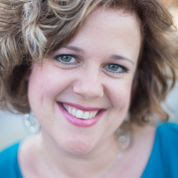 And this year Natalie returned to Winsome as a workshop leader and shared her new organization Defining Your Joy. 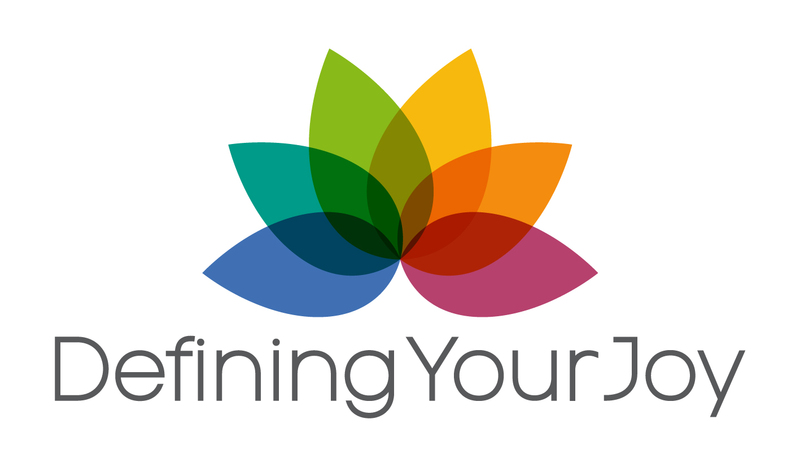 Defining Your Joy provides the resources, support, education, encouragement, and inspiration to help women discover more joy in both their personal and professional lives. It’s a God-sized dreamer’s dream come true! the woman who has a dream inside but isn’t moving forward because she doesn’t have the information she needs. the woman who has passion but doesn’t know what exactly what her dream is and needs help with the process of both seeing and seizing her dream. the woman in the corporate world frustrated by pursuing someone else’s dream and wanting to make a greater impact. the empty nester whose dreams have been on the shelf for so long she’s not sure what they are. the woman who wants to both achieve her dream and create a profitable reality by make a living from it. Through both virtual group and one-on-one coaching options as well as their six month Launch Your Dream Program, Defining Your Joy is like a dream team for your dream! Natalie’s own painful experience has inspired her to help other women who have been hurt. Because their mission is to help all women fulfill their dreams, Defining Your Joy has partnered with Wellspring Living in Atlanta, GA. Wellspring Living works with girls and women who have been harmed by sexual abuse. Through financial support, volunteer work, and life coaching, Natalie and her team will work with Wellspring to fulfill their goal of helping women live and dream again. I was a girl with a dream that needed some help. Thank God I didn’t try to go it alone. The reciprocity of dreams may be its greatest blessing! p.s. 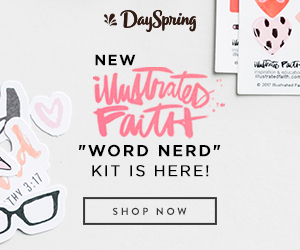 We launched our God-sized Dreams shop! It contains five downloadable prints created just for you. We hope they inspire you to chase after your dreams! We’d love for you to check them out! And as a thank-you to our email subscribers, once a month we will randomly choose one subscriber to receive a FREE print! I used to think it was vital to have everything figured out. The idea had to make sense and all the pieces needed to fit before I could move forward. Beth Moore began her ministry thirty years ago unsure if teaching Bible studies was God’s direction for her life. Can I just say what a relief it was to hear Beth Moore’s beginning years were marked with uncertainty and questions?! It makes me feel relieved. I’m where Beth Moore was thirty years ago; she felt the same way I do! I may feel like I’m stabbing at the dark and wonder what I’m doing and if I’m going in the right direction. But with every faithful step I take, God leads. And He leads you too. You may not have the who, what, how, or why all figured out, but if you have the desire, He will lead you into your purpose, if you seek Him. Doors will open, opportunities will arise, struggles will drive you crazy and setbacks will make you think you should quit. You never know what may be waiting around the corner if you keep pushing through. But, not now. Oh no. When I see friends struggling to decide what they want to do or how to get there, I feel confident in encouraging them to go for it, and to find a way and do it! Now I know we have nothing to lose and everything to gain. Do you want to know the secret sauce to not giving up? Encouraging others. Encouraging others in their own dreams gives you power to fight for yours. You see precisely how important it is for them to realize their dreams, and it makes you want to fight for yours all the harder. Encouraging others creates community in a way that God intended. Because when we are truly happy for others, then we are steadfast about who we are as well and sure of the plans He has for us. There is no room for jealousy. 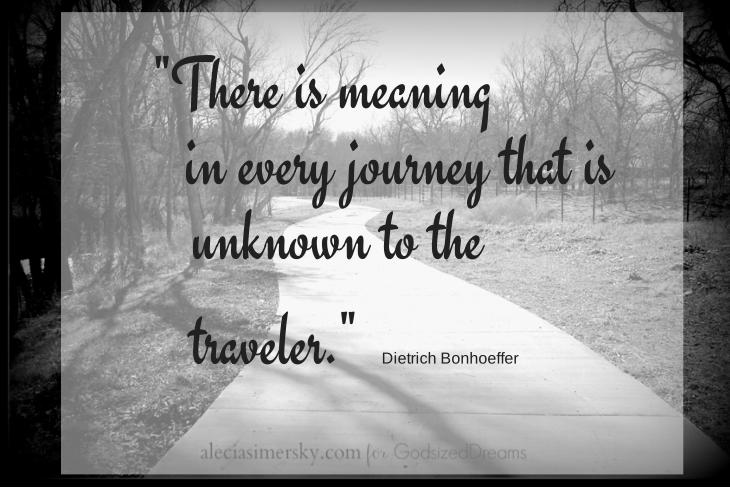 Beth Moore encourages others because she knows how discouraging the journey can be. The enemy does NOT want us to succeed. If she would have thrown in the towel after her first study we wouldn’t have the wisdom we glean from her seven books and sixteen Bible studies. And who knows how many countless lives she has touched. It’s important to be each other’s cheerleader, especially when we aren’t sure of our own paths. One day you will be the one speaking to the generation behind you, urging them to keep pressing forward. Today, find someone you can encourage and see what happens inside of you! Is Comparison Sabotaging Your Dream? On Wednesdays we are thrilled to fling open the doors to all of YOU! We love hearing your dreaming stories…the lessons you’ve learned, the roads you’ve walked, the dreams He’s planted in your hearts! 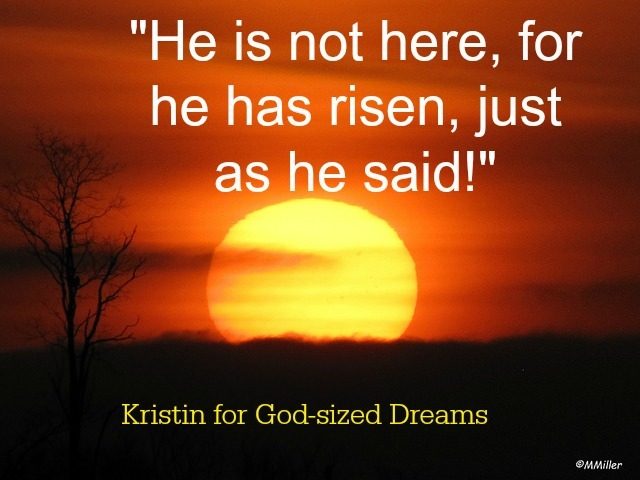 Today we are excited to welcome back Kristine Brown to God-sized Dreams. She shares how comparison can sabotage your dreams. Thanks for being here today, Kristine! I’d left my comfy corner to follow God-sized yeses before, but this was somehow different. It began with an unexpected moment – the idea. The dream. God inspired a thought that caused all kinds of anticipation in my heart. Write what you learned, the thought beckoned. Now is the time. My greatest struggle would soon become the message God allowed me to share with the world. I never thought of myself as someone capable of writing a book, but I knew I heard God calling my name. The idea came like a wave, washing through the deep, unsure places in my spirit. With God’s clear direction, I started my new adventure. I began the journey toward my dream with all the courage I could muster. I anticipated battles ahead. I knew drawing up experiences from long ago would bring back unwelcome insecurities. I’d tucked them away for safe-keeping. Now here they were again, ready to be the catalyst for conversations we needed to have. Those vulnerable memories forced me to tackle a topic I’d avoided for most of my life. And as I ventured farther down this dream-inspired path, the nagging voice I once knew came creeping back in undetected. It was the voice of comparison. Yes, I knew it well. It’s understandable to compare myself to her. After all, she’s written countless books and helped thousands of people. Maybe I should let this dream go. She’s a much better writer than I am. I should forget all about my dream. On and on the voice spoke to me. I wanted to do something about it, but instead I allowed it to turn my attention in another direction. The voice of comparison diverted me off-course by distracting my focus. Maybe you’ve been in that place. If so, then you can certainly relate to the frustration I felt when I listened to this dangerous voice over and over. No matter how many times I told it to be quiet, I couldn’t seem to get rid of it for good. That’s when I realized I was letting comparison sabotage my dream. Comparison has been in existence since the beginning of humanity, and none of us are immune. Yes, we have all struggled with the compulsion to compare. But there are steps we can take to silence that voice in our lives and stay on the path toward our dreams. God gave me this dream, and His promise is true and certain. My path through overcoming comparison became the dream itself. Every struggle, discovery, and lesson learned along the way is recorded in my first book, Over It. Conquering Comparison to Live Out God’s Plan. The book follows my own journey to freedom from comparing, along with those of three unique women in scripture. Oh yes, they battled with comparison too. Through their lives, God teaches remarkable truths about winning the battle over comparing. Allow me to share one of those truths with you here. “Relying on God’s promise is my first step in conquering comparison.” – Over It. When we learn to say, “I’m over it,” to that pesky voice, we find contentment like we’ve never known. We unleash the purpose God called us to fulfill, and His purpose for us is more than we could ever imagine. So let’s claim victory over comparison today. 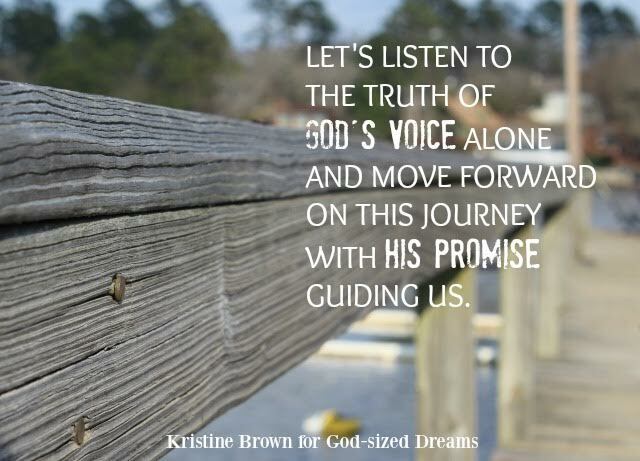 Let’s listen to the truth of God’s voice alone and move forward on this journey with His promise guiding us. The dream is waiting, and now is the time. Kristine is a writer, dramatist, and teacher. She helps women and teen girls navigate the ups and downs of real life. Kristine devotes her time to family, freelance writing, and her non-profit ministry, More Than Yourself, Inc. You can read more from her at www.morethanyourself.com. 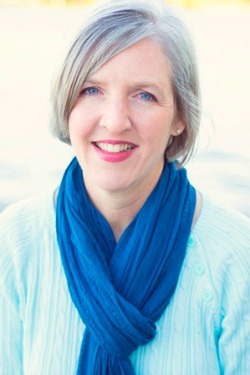 Connect with Kristine on Twitter, Pinterest, and Facebook. We just recently celebrated the glory story of Easter. The story of Jesus who died for us but also came back to life as He promised to us! There is big gaps of months between Easter and the next big holiday for Christians—Christmas. The holidays where we celebrate the birth of Jesus and the death of Jesus. There are many moments, many days, many hours between Easter and Christmas. Many days full of the mundane. Many days filled with mystery. Days filled with the sacred and the secular. This Easter I was extra excited to celebrate the story of the cross. I had the incredible blessing of spending ten amazing days in Israel a few weeks prior to Easter. I was able to walk in the stories of Jesus. To sit where Jesus taught the sermon on the mount. To ride a boat on the Sea of Galilee where Jesus calmed a storm with just a word. To imagine Jesus saying to Peter, come, walk on this water. I saw the birthplace of Jesus. I was able to touch the well where Jesus offered the woman Living water. The Bible came alive in a whole new way. I felt like I was living the pages of the Bible. I loved EVERYTHING (especially the food!). But the crowning moment for me was our last day in Jerusalem when I knew we were headed to Golgotha and then the Garden Tomb. I could hardly wait. Another special gift was that we would be going to those places on my 34th birthday. Talk about the most incredible birthday ever. Friends, that first glimpse of Golgotha, the place where Jesus was crucified to take on the sins of the world, took my breath away. He was broken so we could be made whole. His blood flowed so grace could flow. Good Friday would not be worth celebrating without the promise of Easter Sunday. The cross without the empty tomb would be hopeless without hope. I wept when I walked inside the empty tomb. 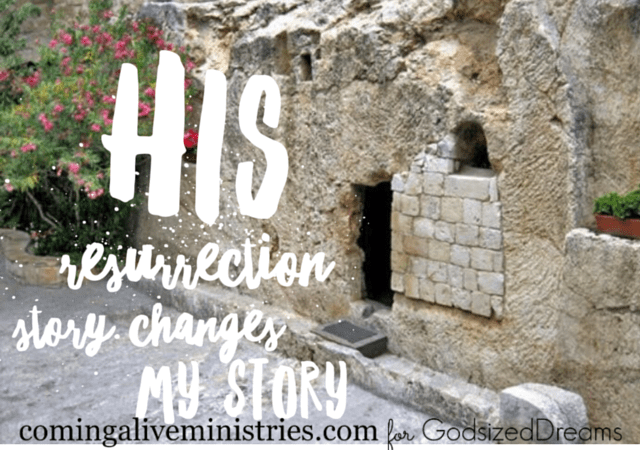 His resurrection story changes everything about my story. Friends, we are dreamers. The enemy of our souls wants to steal, kill and destroy our desires to dream, our boldness to dream God-sized dreams, and our passion to dream. Insecurities and doubts come. Darkness falls on the calling that once seemed so full of light. Many times everything about a dream can look dead in the natural. But we serve a God of resurrection. A God who is always working behind the scenes. Even when Jesus was in a grave for three days, God was working in the waiting. We have the chance to live Easter every day. To keep walking alive even when it seems easier to let our dreams die. And when we do experience a death of a dream, to celebrate that we have a God who resurrects. How can you celebrate the Easter story in your daily stories?